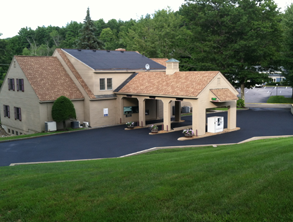 Welcome to Andrade Sealcoating - New Hampshire's premier sealcoating and asphalt repair company. If you're in Alton, Laconia, Belmont, Sanbornton, Moultonborough, Wolfeboro, Ossippee, the Conway Areas, or in other neighboring areas, and are looking for high quality pothole repair, residential asphalt maintenance, or sealcoating services at honest, fair prices, your search stops here! 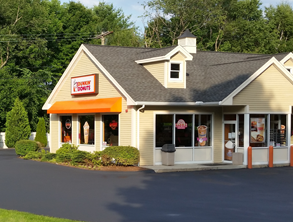 Andrade Sealcoating is a family operated sealcoating and asphalt repair & maintenance company that serves almost the entire state of New Hampshire. Our clients are mostly the area's homeowners who enjoy the high quality, stress-free nature of our services. We specialize in asphalt repair and maintenance services like crack filling, pothole repair, line striping, and sealcoating. We use Neyra Tarconite Asphalt Pavement Sealer, a high quality, durable seal that offers superior beauty and protection that lasts. The great thing about our service is that we are focused on providing outstanding asphalt repair and maintenance services for all of our clients, and since we do not have to deal with asphalt paving, we are able to focus on what we do best - the exceptional repair and maintenance of asphalt for our clients. Here at Andrade Sealcoating, we are committed to providing the very best asphalt maintenance and repair services at very competitive rates. We understand the value of our services and want our clients to enjoy their full benefit without the high costs. With a wealth of knowledge and experience in the asphalt industry, we are your top choice for lasting asphalt repair and exceptional asphalt maintenance services that are certain to keep your driveways, path walks, and parking spaces lastingly beautiful! So next time you need fast, reliable and high quality asphalt repair services that exceed your expectations without exceeding your budget, there's no need to look anywhere else! Count on the experts who have your best interests at heart - Andrade Sealcoating! 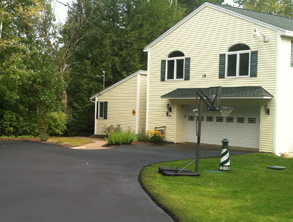 Andrade Sealcoating is a sealcoating and asphalt repair company based in Alton Bay, New Hampshire.